Waterfall Group offers unparalleled policy and industry development services in the Canadian renewable fuels sector. Our mission is to drive expanded production and use of clean, low carbon fuels in Canada. Since 2005, our principals have worked with industry leaders, governments and non-governmental organizations (NGO’s) to develop key policies and programs that have established and grown the Canadian renewable fuels sector. We pair expert assessment and policy design capabilities with deep industry experience to engage decision makers and achieve targeted outcomes. Our work style is both strategic and highly responsive; we develop our knowledge of our clients’ core objectives, we assist in developing and maintaining current strategies, and we co-develop and implement appropriate work plans. Our full range of industry development services includes expertise in the areas of Energy Policy, Climate Action Policy, Capacity Investment, and Project Management services. Our work is informed from experience as co-developers of an operating global-scale biofuel plant in Alberta, and years of hands-on engagement with governments, industry colleagues, and clean energy stakeholders to develop and implement appropriate renewable fuel policies across Canada. Since 2005, we have worked on all the major renewable fuel and climate action policies in Canada. We have longstanding working relationships with the key provincial and federal government ministries that determine and shape fuel regulations, carbon pricing, and market competitiveness. We maintain strong north-south industry relationships to promote open market access and adopt best practices across North America. We engage our network of Canada’s leading natural resource and processing companies and organizations (e.g., agriculture, forestry, renewable energy, natural gas, etc.) to build stronger coalitions for more effective results. We collaborate with leading climate and energy NGO’s to enhance efforts to achieve economic growth and greenhouse gas emissions reductions. We use our experience in renewable fuel project development and government policy, regulation, and standards definition to identify and mitigate investment risks for project developers and investors. We work with governments, industry, and civil society interests to define and implement practical sustainability and product standards. The Waterfall Group team has over 45 years of collective experience building renewable fuel capacity, creating market access for renewable fuels, and creating competitive conditions for the production and use of renewable fuels in Canada. We have worked with federal, provincial, and municipal governments, industry and non-government organizations, financial markets, and producers and marketers of renewable fuels. Since 2005, Waterfall Group has provided the day to day operations and leadership of Advanced Biofuels Canada, the leading biofuels industry association in Canada, and the only organization actively engaged both with the federal government and all key provincial governments. To date, our leadership has supported the establishment of over $3 billion of public investment programs in the renewable fuels sector and the implementation of provincial and federal renewable fuels standards from British Columbia to Ontario. These measures drove the early investment and growth in the production and use of renewable fuels in Canada. We are now actively leading the development of the next phase of renewable industry growth in Canada. Renewable fuel demand will expand significantly under the federal government’s Clean Fuel Standard and other key provincial regulations. Clean growth programs are being designed and deployed to support new capacity buildout. Carbon pricing systems will be implemented that materially impact both production and use of renewable fuels. This is a key opportunity – today’s efforts will drive tomorrow’s results. Doug is a Partner of Waterfall Group. He has over 25 years of experience in corporate and industry development. Doug has a range of senior management and board governance experience in public, private and not-for-profit enterprises. 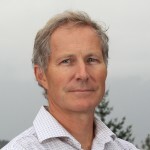 Doug was a co-founder of Canadian Bioenergy Corporation and served as Chief Executive Officer and Chair from 2005 – 2011. During this time, he was responsible for the overall strategic planning, business development, capital project evaluation and execution, corporate finance, legal affairs, shareholder relations, and management of the company. He is currently Director of Policy and Regulation for Advanced Biofuels Canada. Ian Thomson is a Partner of Waterfall Group. He has over 25 years of experience in strategic change, operations and industry development, with expertise in policy implementation, strategic planning, market development and sustainability. Ian was a co-founder of Canadian Bioenergy Corporation and served as President from 2005 – 2011. During this time, Ian developed and led the operation of a nation-wide biofuel import and distribution business and a number of first- and second-generation biofuel and bioenergy project development efforts. Since 2005, Ian has co-founded several biofuel industry associations, and is currently serving as the President of Advanced Biofuels Canada. Fred Ghatala is a partner of Waterfall Group. He has over 16 years of experience in climate change policy and services, including sustainability standards development, environmental management system assurance, emission quantification protocols, fuel LCA models, and Corporate Social Responsibility report verification. From 2005 – 2011, Fred was the Director of Government Affairs for Canadian Bioenergy Corporation. Fred’s work included policy analysis and development, and supported major capital project development, including a co-venture with Archer Daniels Midland which commissioned Canada’s largest biodiesel facility (70MGY) in Alberta in 2013. He is currently Director of Carbon and Sustainability for Advanced Biofuels Canada. Joel Zushman joined the Waterfall practice in September 2017 as a Research Associate. 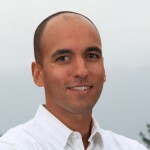 Prior to joining Waterfall, Joel worked as a policy analyst in the Transportation and Alternative Fuels Division of Natural Resources Canada, working on modelling, research, and consultation for the proposed federal Clean Fuel Standard. 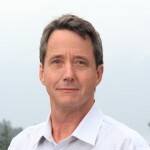 Joel’s academic credentials and skills include life-cycle analysis (LCA), computer modelling, data analysis, and policy analysis. 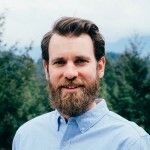 He holds an MSc in Environment and Natural Resources (University of Iceland, faculty of Industrial Engineering, Mechanical Engineering and Computer Science) with a focus on environmental policy analysis and sustainable development. He is currently a Research Associate for Advanced Biofuels Canada.